If you live in Los Angeles and haven’t been to Surti Farsan Mart in Artesia, you must go! 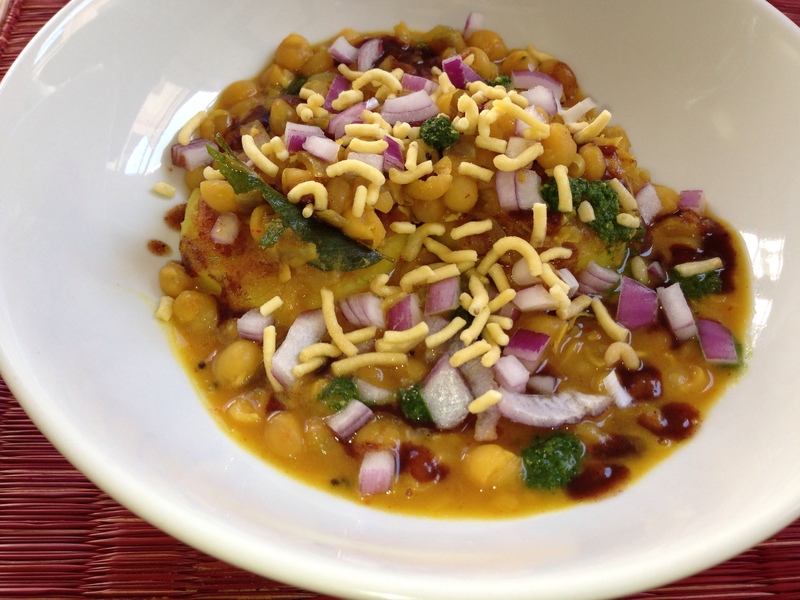 Surti Farsan specializes in chaat, which is Indian street or snack food. 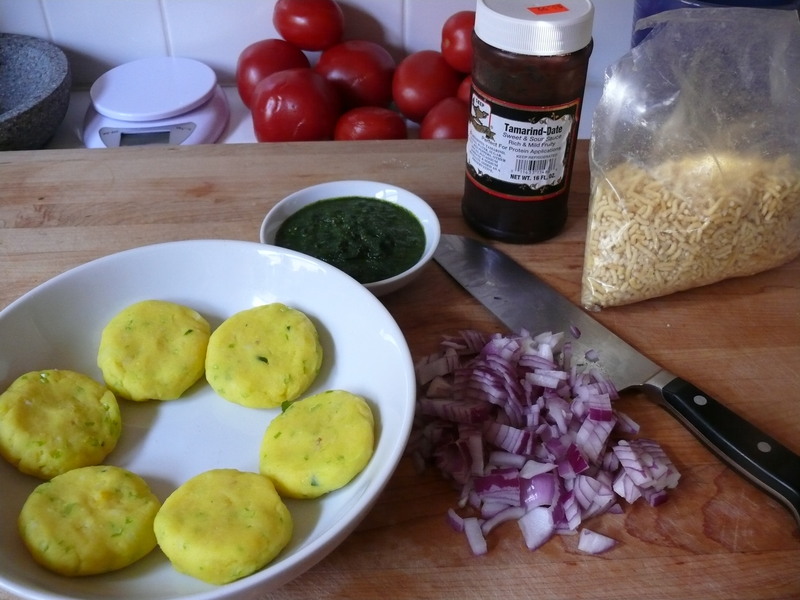 One of my favorite dishes there is the radga petish, potato patties covered in pea curry and topped with sweet chutney and onions. It is spicy, a little sweet, hearty and amazing! I have been meaning to try making it forever and finally got around to it. Don’t forget to try the other amazing chaat at Surti: pani puri, dahi sev puri, pav bhaji are my other favorites! 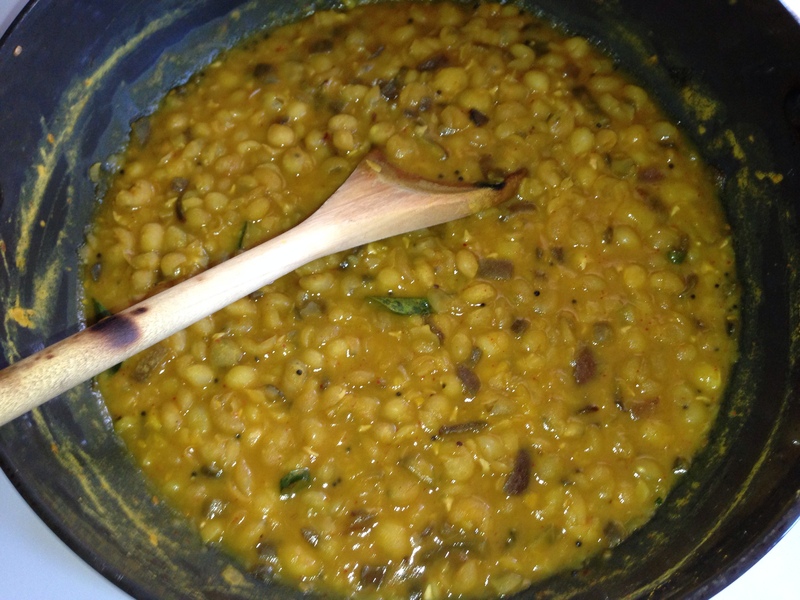 This recipe is based on this ragda pattice recipe from Spice up the Curry. In a pressure cooker, cook the peas with 5 cups of water for about 20-22 minutes after the first whistle. In a separate pan, heat the olive oil and add the mustard seeds. Once they start to pop, add the sesame seeds. After another minute, add the green chilis and curry leaves. Then add the onions and turmeric and cook until the onions are browned and translucent, adding the ginger (and garlic if you are using fresh) part way through cooking. Add the peas, garlic cube, chili powder, jaggery, tamarind, and salt. Cook to let the flavors meld, adding water if it gets too dry. Meanwhile boil the potatoes in salted water, then drain, and mash. Mix well with the cilantro, green chili, ginger paste, turmeric, hing, lime and salt. 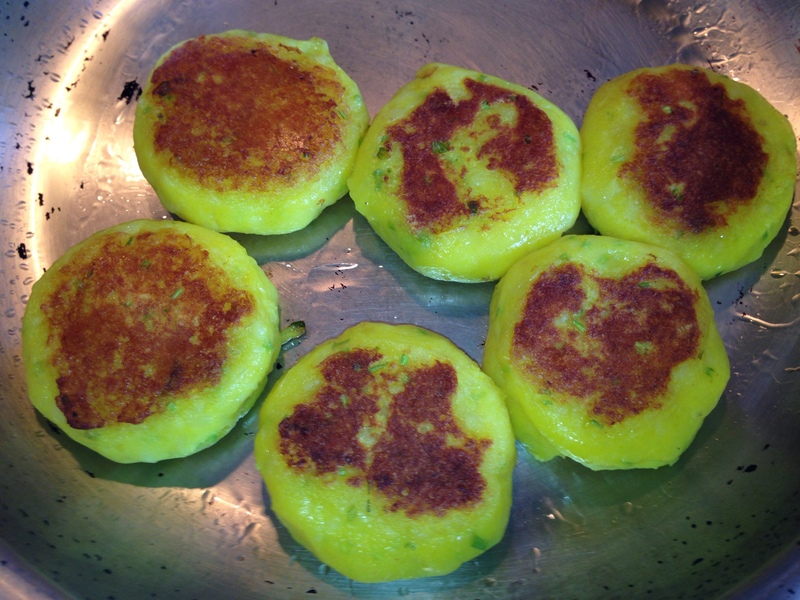 Form into 6 little patties. Fry patties in a little oil until a little browned on each side. Top the potato patties with the ragda, then drizzle with sweet chutney and mint & coriander chutney, then sprinkle with onions and sev.